I have been a patient in this practice for almost 20 years and Dr. Vannelli is great. Love seeing him! This was a follow up visit. I've been very happy with this practice and the treatment plan we've agreed on. Everyoneat the Collegeville office is friendly and professional. This was a follow up visit. I've been very happy with this practice and the treatment plan we've agreed on. Everyone at the Collegeville office is friendly and professional. **Please Be Advised: If you are a NEW patient, you MUST book as a new patient on ZocDoc. Do not choose "I've seen this doctor before" Patrick Vannelli, MD is an allergist seeing adult and pediatric patients with Allergy & Asthma Specialists, a group practice with eight locations in Philadelphia and the surrounding suburbs. He has practiced as a Board Certified Allergist/Immunologist since 2008. 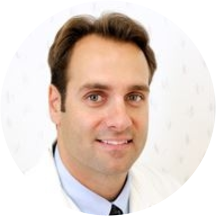 Dr. Vannelli received his undergraduate degree at Boston College in Chestnut Hill, Massachusetts and his Medical Degree from the State University of New York at Buffalo Medical School. He completed his Pediatric Residency at the University of Medicine and Dentistry of New Jersey Goryeb Children’s Hospital where he was Chief Resident. He completed his Fellowship in Allergy/Immunology at the Thomas Jefferson University Hospital. He continues to be involved in numerous research studies and is a published author. The doctor is certified by the American Board of Allergy & Immunology. He is a member of the American Academy of Allergy, Asthma and Immunology, the American College of Allergy, Asthma, and Immunology, The Pennsylvania Allergy and Asthma Association and the Philadelphia Allergy Society. Great office and medical staff. Dr. Vannelli is a rare doctor. He listened well and asked thorough questions. He never rushed me or made me feel I was making too much of my symptoms. I have suffered from allergies most ofmy life and in one appointment I feel better educated and actually feel like I have a good plan to start getting better. I can not recommend Dr Vannelli and his wonderful staff enough! Really satisfied! Answered all my questions and the skin treatment was less bad than I thought. Everyone was very nice and professional. Would go back. Very thorough and engaged physician. Very upfront and professional. Presented many options for my issue. Gave me the full allergic test in the same visit. I learned more about my asthma/allergy problems/treatment in one appointment then I may have in my whole life. Office was clean, organized and quick to help. Thank you! Yearly check up as no health events to report. Quick efficient thorough. Great doc and great staff!!!! So efficient and although I loathe going to any doctor staff and dr vanelli make it best experience possible! Dr. Vannelli listens carefully and never rushes me out of his office. I wish every doctor respected his patients as much. Dr. Vannelli listened carefully to me and discussed his recommendations clearly. I was very happy with my appointment! Every aspect of the visit was pleasant, welcoming, and helpful. This was a first visit and my daughter and I were treated with care and respect. The receptionist was lovely, the nurse/medical assistant was very friendly, caring and explainedeverything well, and Dr. Vannelli was thorough and took the time to understand our concerns and offer his professional opinion regarding my daughter's health issues. If needed, we would definitely return to this office. I waited there for less than ten minutes. I reached there twenty minutes early. A very professional doctor, explains everything about your problem, and suggests all practical solutions for your medical issues. We can ask him all our doubts,he will give us answers in a way that even an ordinary man with no medical background can understanr. Dr. Vannelli was great! He was patient and kind to our son. He took the time to answer all of my questions and alleviated some of my concerns. We would definitely see him again. Dr. Vannelli was very thorough and gave some great advice to help get us started. Dr Vannelli was very nice. He was helpful and I would definitely recommend him. This guy. Seriously ....this guy. I don't know if you understand how intimidating it can be to see a Doctor. Dr Vannelli rocks! He went through all the options, and I felt like he both wanted to explain the whole picture and understand the whole picture. Dr. Vanelli is always patient with the kids and takes the time with us to explain the different issues we are dealing with. We always leave with a clear action plan to address the problems. We couldn't be happier. Dr. Vannelli spent more than ample time with my daughter and me today. He answered all my questions and I didn't feel like he was trying to rush us out. Very professional but not too professional where it was uncomfortable orfelt like he really didn't care about my daughters issues and just doing a job. He interacted with my 8 year old well, too! I like that he has morning and evening hours. Would go back to him again! Only complaint was the exam room was cold- hard to avoid when one "wall" was the window. Other than that, great! Dr. Vannelli always takes his time and explains everything. He is very knowledgable. He is the best. It's always a pleasure seeing Dr. Vannelli. He never rushes through an appointment and is always up to date on the latest research. Dr. Vannelli is an excellent doctor. He listens carefully and never rushes you out of his office. He explains his treatment thoroughly and keeps himself current on issues relevant to his practice. He stays in touch via the phone between visitsand communicates with other health professionals involved in my care. I am in much better health since I began seeing him. I had a great experience at Asthma and Allergy Specialists! The wait time was next to nothing, the entire staff was very friendly and Dr. Vannelli was really hospitable and made sure to answer any questions that I had. I would definitely recommend them! He's personable, knowledgable and very thorough. I highly recommend Dr. Vannelli. He takes his time and explains things well.